Samsung Electronics and Globalfoundries are reportedly planning to begin building 14-nanometer mobile chips in small quantities at a New York-based facility in early 2015, which could set the stage for the team to begin building "A9" chips for Apple, according to a new report. The details come from Taiwanese tech industry publication DigiTimes, which has a questionable track record reporting on future Apple products, but does on occasion accurately share supply chain data. In its latest report on Tuesday, the publication said Samsung and Globalfoundries will begin rolling out 14-nanometer chips from Samsung's Fab 8 in New York with a capacity of 60,000 wafers a month, using a so-called "low power early" process. 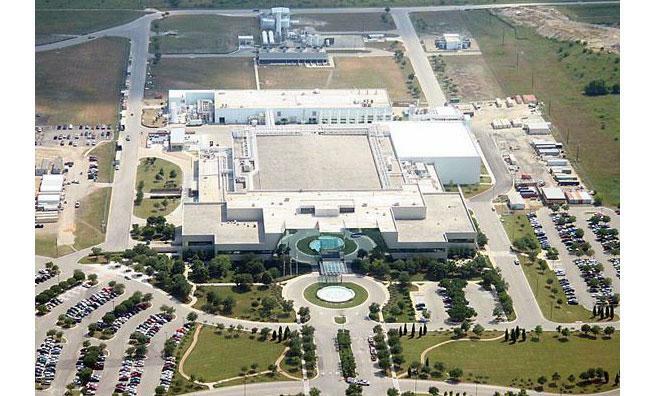 If true, the location would be a change, as Samsung currently builds custom processors for Apple at its Austin, Tex., fab plant. After trial production later this year, the Samsung and Globalfoundries are expected to begin producing 14-nanometer chips in small quantities in early 2015. That's reportedly in hopes of landing deals with two major partners: Apple and Qualcomm. Regarding Apple, DigiTimes claims that the company's anticipated "A9" processor could be based on a 14-nanometer process, if Samsung and Globalfoundries win the final contract. But that's not a sure thing, as both Intel and Taiwan Semiconductor Manufacturing Company are also said to be in the running. No details on a potential Intel deal were given, but TSMC is reportedly aiming to win orders for Apple's "A9" with its own 16-nanometer FinFET Turbo chipmaking process, said to be tailored to Apple's requirements. If Apple were to stick to its usual annual chip updates, an "A9" processor would debut in late 2015 in the company's latest iPhone and iPad models. The current lineup, introduced in late 2013, runs on A7 processors, and an "A8" chip is expected to debut in new iPhones and iPads this fall. Samsung was first connected to Apple's anticipated "A9" chips a year ago in a supply chain rumor. That report also suggested that Samsung would use its 14-nanometer process to build the processors.